You are here: Home / SUCCESS / ProsperWorks Offers CRM That Works with Gmail – But How Well? ProsperWorks gathers all the data that you need to increase sales, simplifies it and presents it to you in an easy to digest form that will help you make quick and beneficial businesses decisions. 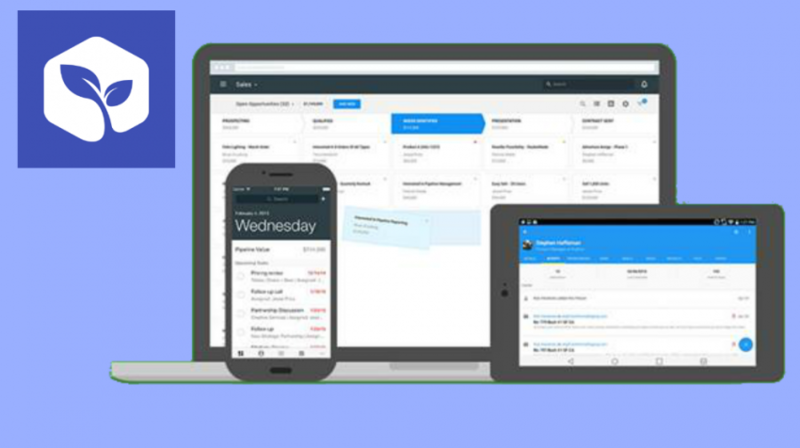 ProsperWorks is a cloud-based customer relationship management (CRM) tool that helps you and your team to sell more and faster by identifying, organizing and tracking sales opportunities right in Gmail. Since the CRM requires far less data entry, you and your team can focus on selling. With more than a billion monthly active users, it is evident that many (small business owners included) own Gmail accounts. However, with the barrage of emails from customers, partners and random newsletters that you keep forgetting to unsubscribe from, it can easily become a noisy place, but it doesn’t have to be. Most small businesses with Gmail accounts are talking to potential customers and saving their info without even thinking about it. The beauty is, if you log in to ProsperWorks, it will show you all potential leads, and you may then choose to add them as contacts or ignore. If you do add them, all emails sent will automatically show up on their profiles and this could help you turn them into customers. You actually never have to leave Gmail. Download the Gmail Chrome extension and you will be able to see recent activity from your inbox, track when emails are opened and viewed in real-time and also add a contact without touching your keyboard. More over, whenever you select an email, ProsperWorks will show you the contact info from your CRM. This will include info like email conversations, extra contact info, tasks and more. If they are not part of your contacts already, then you can easily turn their email and name into one without breaking a sweat! ProsperWorks will fill in the extra details on its own. ProsperWorks is a treasure-trove of crucial data for your business. And they make it easy for you to build a report using their Custom Report Builder that connects directly to Google Sheets. And from Google Sheets, you could then create advanced dashboards, reports, charts and graphs collaboratively with your team. 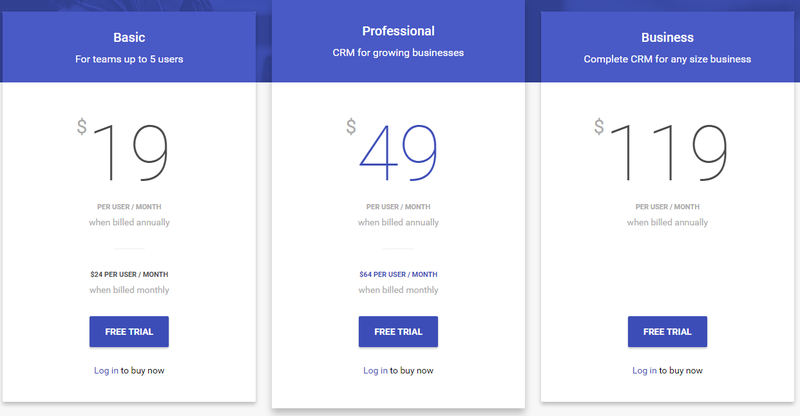 ProsperWorks has three pricing levels. The Basic Level that’s good for teams of up to five users costs $19 per user per month when billed annually. A Professional Level (for growing businesses) costs $49 per user per month when billed annually and the Business Plan, which is best suited for big businesses, costs $119 per user per month when billed annually. All these plans have a free trial version. ProsperWorks gathers all the data that you need to increase sales. It then simplifies it and presents it to you in an easy to digest form that will help you make quick and beneficial business decisions. It’s simple and handy.